Composer Gregory Tripi has been named the winner of the 17th Annual Pete Carpenter Fellowship, it was announced by BMI Foundation President Ralph N. Jackson. The Fellowship, open to aspiring film and television composers under the age of 35, was established by the BMI Foundation and Carpenter's family, colleagues and friends to honor the late composer whose credits include such television themes and scores as The A-Team, Magnum P.I., The Rockford Files, Hardcastle and McCormick, Hunter and Riptide. Fellowship winners are given the opportunity to intern with renowned BMI composer Mike Post in his Los Angeles studio and meet with other distinguished theatrical, film and TV composers. A stipend for travel and living expenses is also part of the award. Post, Carpenter's longtime writing partner, has penned some of the most memorable theme songs in television history, including Hill Street Blues, The A-Team, Magnum P.I., NYPD Blue, Law and Order, L.A. Law, The Rockford Files, Quantum Leap and City of Angels. 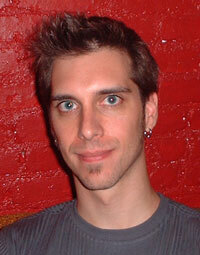 Gregory Tripi is a classically-trained composer of music for film, television and multimedia. An accomplished musician on piano, bass, bassoon and sitar, he has studied film scoring, music synthesis and composition with many extraordinary teachers at both Berklee College of Music and the University of Alabama. His dedication to the art has earned him recognition as a talented composer and a well-versed electronic musician. Tripi has won several prestigious awards for his music, including the Georges Delerue Film Scoring Award, the Thomas Dolby Production Award and the 2005 Academy of Television Arts & Sciences Foundation Music Internship working with BMI composer W.G. Snuffy Walden. Based out of his studio in Boston, Tripi's recent projects include Trust The Process, a documentary featured on Cambridge Television Network; Fire Stream, a short film by Fireside Productions & Gourly Filmworks; Trumpery, a short film by Fallenstar Film Productions featured at the Canadian Youth Film Festival; Life Is a Cabaret, a film by David Zermeno; The Five Essential Messages of Family Literacy, a commercial for Child Care Resource Center; and the short film Conversations in Black and White by Boston-based Anima Films.